Mahjong Flowers. 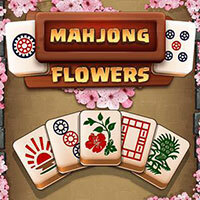 This classic Mahjong version with a beautiful flowers theme offers you 150 levels in 3 difficulties matching your skills! Start with easy levels and find all identical stones. The faster you clear the board, the more stars you can earn. Make sure that the path between two tiles doesn’t have more than three lines or two 90 degree angles. Can you earn a gold star in all levels? This game can be played on all devices. Enjoy and have fun in playing this free online game. Good luck. Make sure to check out Candy Mahjong Game. You may enjoy playing it.